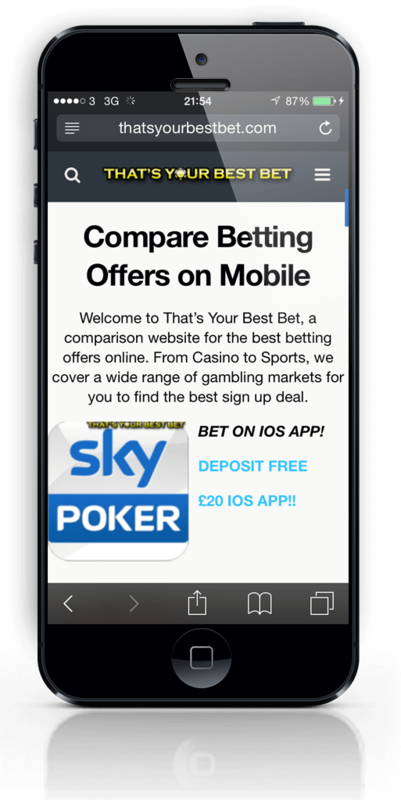 A responsive, modern website providing visitors with the latest promotions for the best gambling websites in the UK. That’s Your Best Bet (TYBB for short) is designed for all sized devices for the modern age. Mobile enhanced links and apps are advertised throughout the site and a dedicated mobile landing page was created to optimise leads. TYBB has gone through a fair number of rebranding stages as I like to explore what more the website can offer customers who are new to the betting scene. I’m sure that soon TYBB will look different to how it does now! Partnered with the leading bookmakers, TYBB targets the UK market and is frequently updated with the latest offers in the market. As the website becomes more stable (ie how I like it to be presented to viewers), more bookmakers will be added to provide customers with even greater choice. This has lead to some good networking opportunities at affiliate betting events like the LAC.